How do these minimum wage increases affect bank and credit union employees where there are entry-level, low-skill positions to fill? Minimum wage is a volatile issue with staunch supporters and adversaries arguing for both sides. 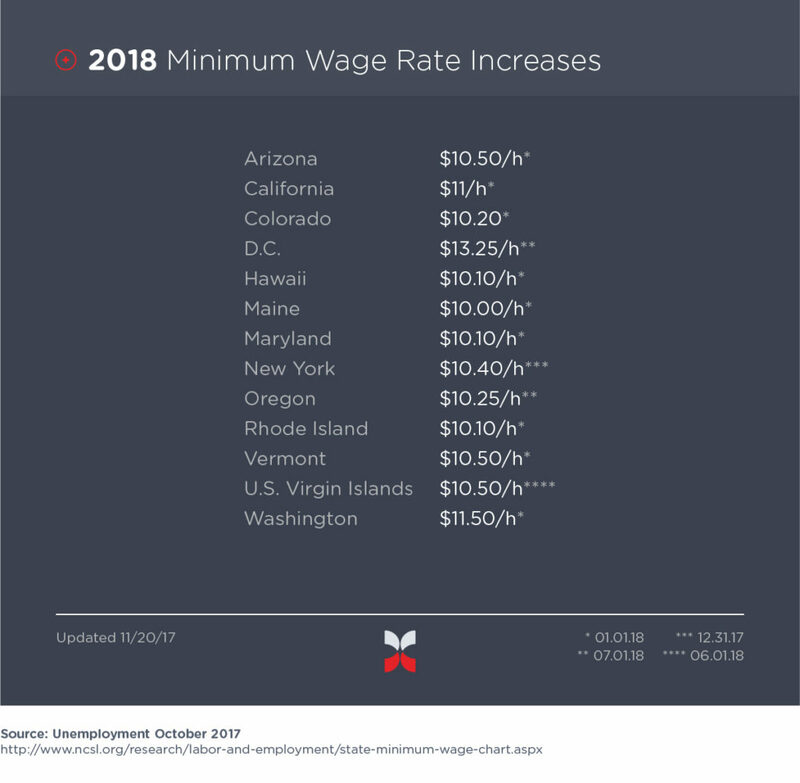 Those against the minimum wage hike contend that it increases costs for the employer which in turn increases costs to consumers and ultimately reduces revenue because of a decline in sales. Lower revenue forces a reduction in low-skilled positions which impacts the unemployment rate. An extensive survey in 2007 by Neumark and Wascher found a connection. “Nearly two-thirds of the more than 100 newer minimum wage studies, and 85% of the most convincing ones, found consistent evidence of job loss effects on low-skilled workers,” according to The Effects of Minimum Wages on Employment by the Federal Reserve Bank of San Francisco. Opponents can also draw lines between a minimum wage increase and increased wage compression. As those front-end, low-skill wage earners bump up to $10 per hour or more, it will force employers to give raises to supervisors and managers who won’t appreciate such a lack of differentiation in pay. It’s something we already expect to see happen as a result of the new FLSA ruling that took effect in 2016. However, there are always two sides to the story. 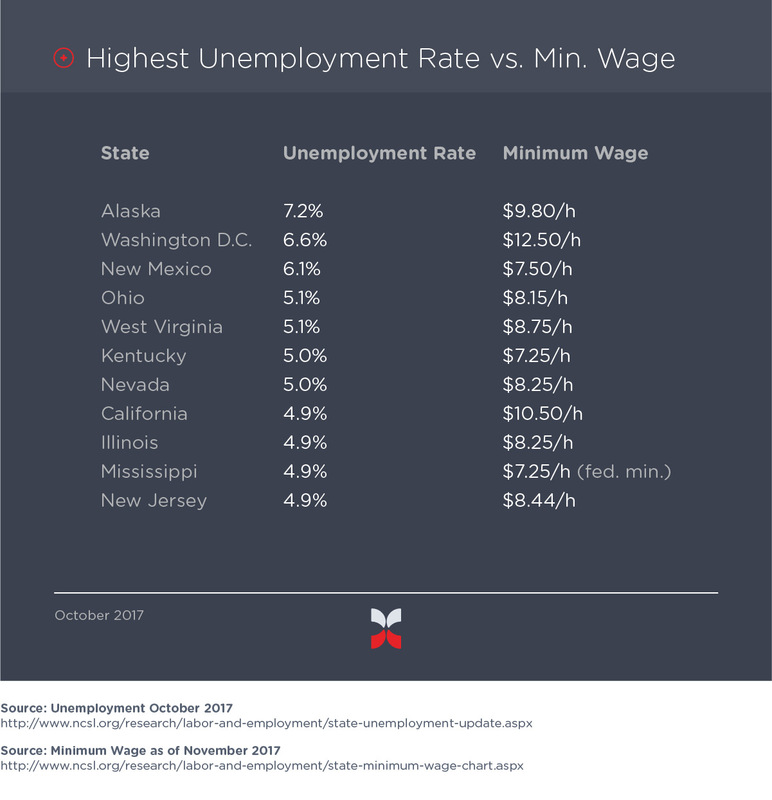 The other side of this one points to there being little to no historical correlation between a minimum wage increase and unemployment rates. A study out of Princeton by Card and Krueger actually “found a positive correlation between a higher minimum wage and employment.” The research also identified an absence of evidence that employers reduce benefits to compensate for the higher wage. “Increases in the minimum wage have had little or no negative effect on the employment of minimum wage workers, even during times of weakness in the labor market,” so says a letter shared by the U.S. Department of Labor written by 600 economists and 7 Nobel Prize winners to President Obama. Furthermore, the banking industry is virtually untouched by unemployment. When you look at unemployment by industry, “financial activities” has the lowest unemployment in the country, per the U.S. Department of Labor. In July 2016, “financial” accounts for only 2.4% of all unemployment (compared with the highest: 9.3% for oil and gas extraction). Then there’s the prerogative that, no matter which side of the debate you support, the minimum wage just isn’t worth much these days. Since the last hike to $7.25 seven years ago, the Economic Policy Institute suggests that “wage earners have lost 10 percent of buying power to inflation.” If the federal minimum wage had kept pace with inflation since minimum wage peaked in 1968, we’d have an $11 minimum wage right now. If it had kept pace with production, we’d have a $19 minimum wage. Knowledge is power in every instance. Expect that this issue will affect your bottom line, and the livelihood of your employees, one way or another. Research both sides of the issue and prepare your company for a shift to the minimum. 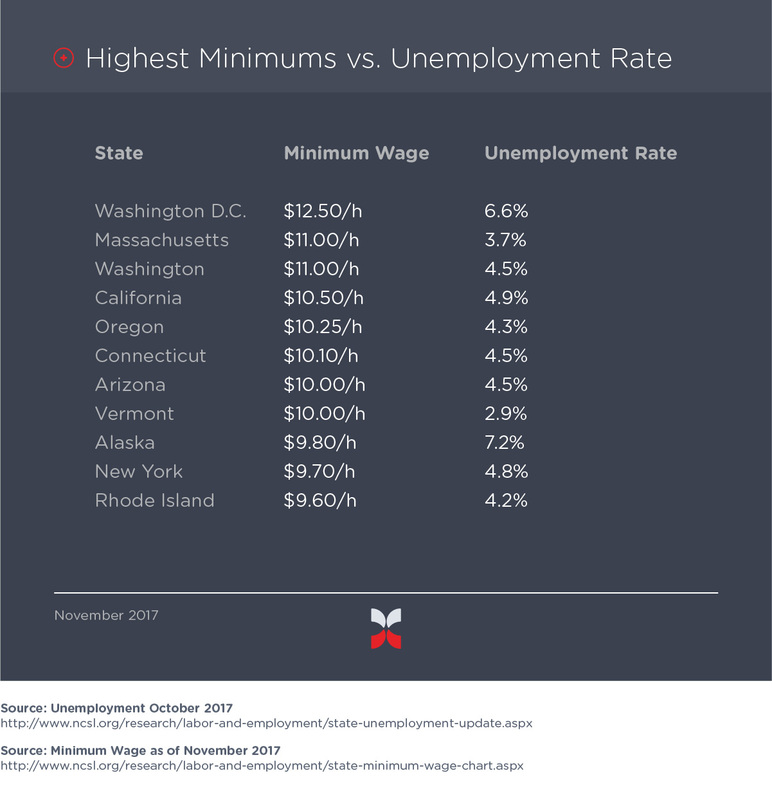 You can use this interactive minimum wage tracker by the Economic Policy Institute to review a wealth of data in one spot. Whether federally mandated or state-imposed, should your bank or credit union be in a position to raise wages, trust that our consultants will guide you through these significant changes to your comp plan.